Are you looking for information about NDIS jobs or NDIS Qld jobs? The introduction of the National Disability Insurance Scheme (NDIS) has opened up job opportunities in various industries, particularly in the healthcare sectors. Now more than ever individuals can tap into the different employment opportunities that cater to the needs of NDIS participants. The NDIS puts control in the hands of a participant, which allows them to choose their preferred service provider. This is designed to lead to an improvement in service standards. meaning employees can be assured of working for NDIS Service Providers that boast high values and deliver quality care and support. Another advantage of NDIS jobs is flexible working hours. As an employee, you may be able choose full time or part-time work. This is extremely helpful for parents who need to work around their children’s needs or for the employee who is also a part-time student. Reduced monotony is another advantage of NDIS jobs. One day you could be working with a senior citizen and the next with a child. The roles are as varied as the needs of the NDIS participants. One of the intrinsic aspects of human nature is the desire to help. Working in an NDIS job provides satisfaction in the knowledge that you are touching and impacting the lives of others in a positive way. As an approved NDIS service provider, Beacon Support has employment opportunities for carers. And administrative office-based roles such as customer care, receptionists, finance, and managers. You may be wondering what qualifications are necessary to apply for NDIS Qld jobs. The requirements for entry-level support jobs vary from one organisation to another and several organisations offer in-house training. However, some industry acceptable requirements for support work include having a first aid certificate and criminal history screening, which will involve passing checks for working with people with disabilities, aged persons, and minors. 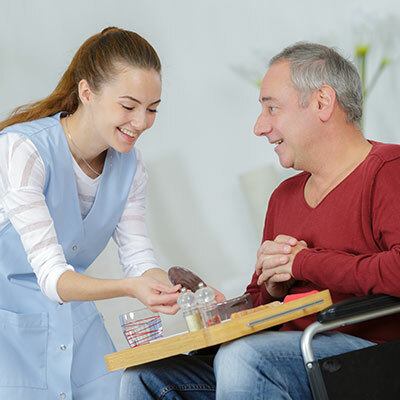 A Certificate III in Individual Support either in disability or in ageing, homecare and community gives an applicant greater advantage of being hired. You can check in here for any employment opportunities, or contact us on 1300 435 782 or fill in the contact form, to find out more about NDIS jobs with Beacon Support.